Your 2016 taxes are due in just over three months. That also means that you have just over three months left to make any 2016 IRA contributions that you might have been putting off. But what if you’ve neglected to contribute to an IRA because you’re not sure you can afford it? 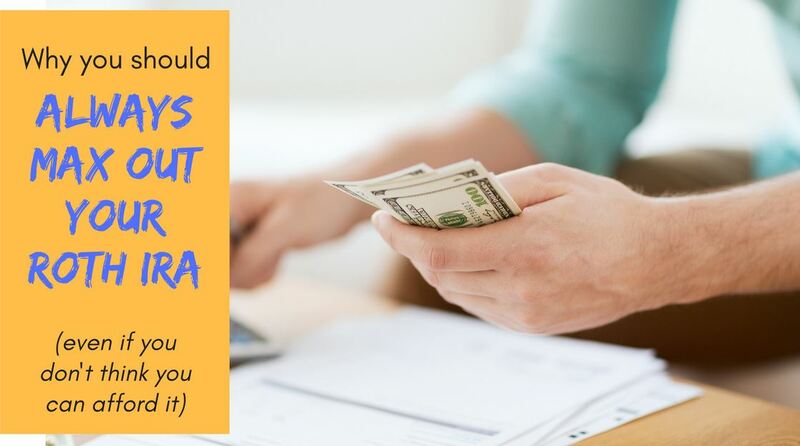 Maybe the only cash you have on hand is earmarked for emergencies, and you’re not willing to risk the 10% early withdrawal penalty that comes with a traditional IRA. Well, I’d like to encourage you to think twice about that stance and still consider making a Roth IRA contribution. As I’ve noted before, Roth IRA contributions can be withdrawn at any time and for any reason without penalty. And if you don’t believe little old me about this, you can check it out for yourself in IRS Publication 590. Now, I’m not necessarily crazy about this flexibility, to the extent that it encourages (or at least allows) people to raid their retirement to buy shiny things. However, one huge benefit is that it gives you the flexibility to make a contribution, even if you’re not sure you can afford it. This flexibility is very valuable because you’re only allowed to contribute a limited amount to IRAs each year. In other words, if you fall behind on contributions now, you won’t be able to make up for it later when you can (hopefully) better afford it. If you make the contribution now and fate smiles upon you, you’ll be able to re-build your emergency savings “on the outside” while having more money stashed away inside your Roth IRA. And if things go awry, you’re free to yank that money out (up to the amount that you’ve contributed) and use it to take care of whatever emergency you’re dealing with. This rule applies to Roth IRAs only, so don’t try this trick with a traditional IRA. The usual contribution limits still apply, so don’t try to sock more money away than is allowed. Roth IRA conversions are subject to a five year waiting period before they can be withdrawn without facing a penalty. 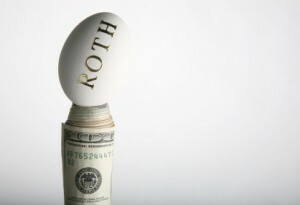 Make sure a Roth is right for you. If you expect to pay the same or higher taxes in the future, then a Roth might make sense for your situation. But if you expect your tax burden to fall in the future, a traditional IRA might be better. Either way, remember: only Roth IRAs qualify for the penalty-free withdrawal of contributions. Given that this is money that you may need to withdraw at any time, be sure not to put it at risk once inside the Roth. Instead, plug it into a money market fund or something similar until you’ve rebuilt your emergency savings. your basis will be less by the amount of this distribution. Courtney) So…are you able to get your contributions out tax (and penalty free)? Your last post seems ambiguous to me. Thx. Nickel – I’m not sure that means what you think it means; I interpreted “return of regular contributions” in the context from two paragraphs later, where it talks about “Withdrawals of contributions by due date.” In the same paragraph you reference though, it says “You MAY have to include part of other distributions in your income” (emphasis mine) and if you look at the flowchart on the next page it eliminates several “qualified distributions” and then if you don’t meet any of those criteria the last box says “the portion of the distribution ALLOCATABLE TO EARNINGS may be subject to tax” (again emphasis mine). Also I think I answered my own question before when I finally came across form 8606, specifically Part III, where you report a basis on line 22 and only have taxable income if your unqualified distribution is greater than your basis (indicating that you withdrew earnings as well as contributions). I guess I had assumed that Vanguard would have done this part for me since they know my basis, but apparently not. There is also a section on the ordering rules, etc. but they don’t make the information very accessible. Can someone explain this. The PDF says you can only withdraw at 59.5 yrs of age or for the purchase of a first home. It’s kind of a nice vehicle for the emergency fund, because it was difficult to get to (had to fill out a form, wait for the deposit, etc). It wouldn’t be able to be used impulsively. We used it the first year of our marriage when we had a huge tax bill over $5k. We just didn’t have petty cash in that amount waiting to spend on taxes. Doing our taxes the following year, I had a meltdown on TaxAct though – the first page has you put in your sale and it calculated a huge penalty. I fired off several nasty grams to TaxAct support and Clark Howard, only to find the next page where I entered my contributions/basis and the penalty disappeared. I had believed everyone that the contributions could be withdrawn tax free but the way the statement looked and the way the tax program seemed to be working, were giving me heart failure. So we did this, and my question is how do we account for it on our taxes now? Because Vanguard sent us a 1099R that coded our withdrawal as “J-Early distribution from a Roth IRA, no known exception.” Did we do something incorrectly? I do agree with this strategy, but I wouldn’t invest the roth in highly volatile stocks/bonds without an adequate emergency fund in place. 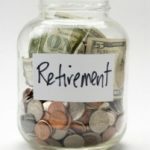 You are probably likely to withdraw the roth contributions when the markets are down – so invest the Roth in safe assets if using the Roth as an emergency fund. It’s a comforting feeling that ROTH IRA contributions can be withdrawn at any point. We were able to withdraw a small portion of our funds for a home down payment.